The process of continually re-settng the standard for performance is one of our Guiding Stars. We believe high productivity is achieved by an efficient material handler with maximum uptime. 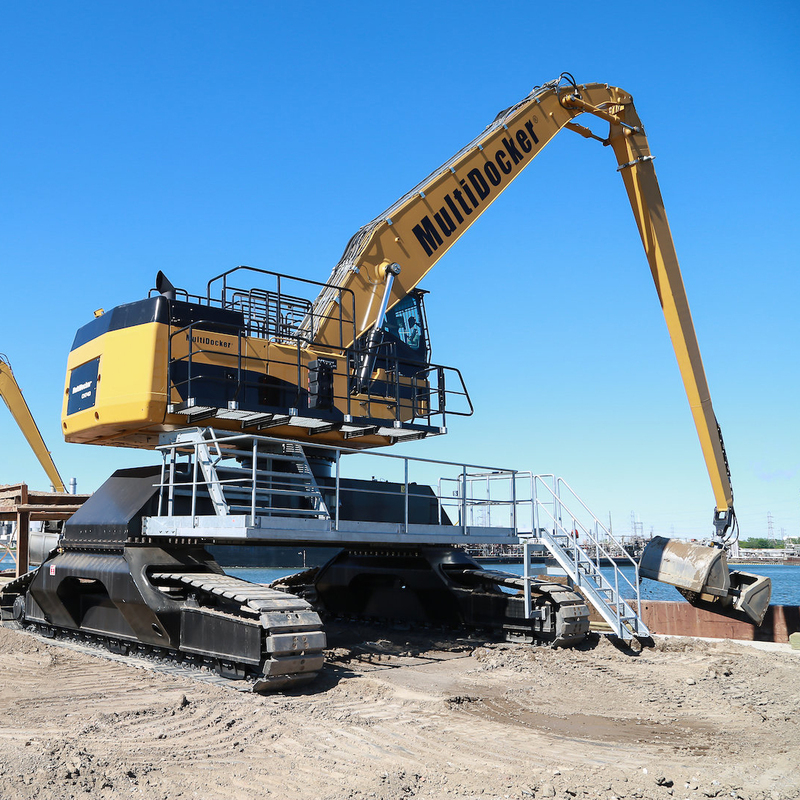 A strong, fast and easily maneuverable machine, built largely with reliable Caterpillar components and a well-organized service supplier ensures that the MultiDocker is highly productive. The working design of a MultiDocker also results in superior performance. 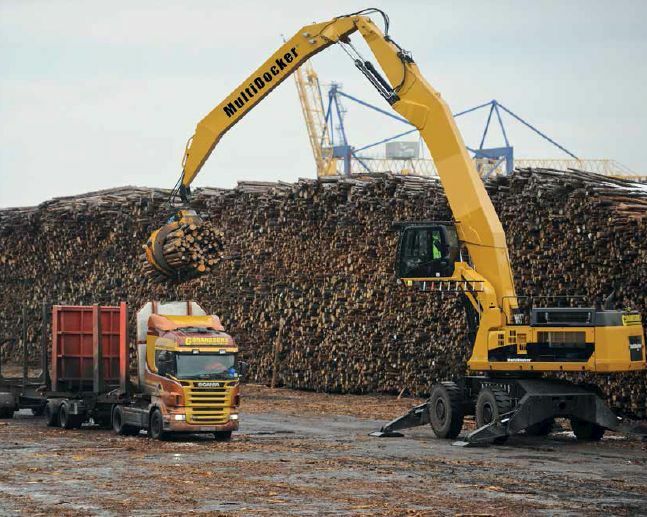 When we fit the right undercarriage to suit the challenges of the job, and couple it with the appropriate cab design and boom/stick combination, you get a machine that is more accurate, lifts more, cycles faster, and is easier to use. Built with Efficiency in mind. 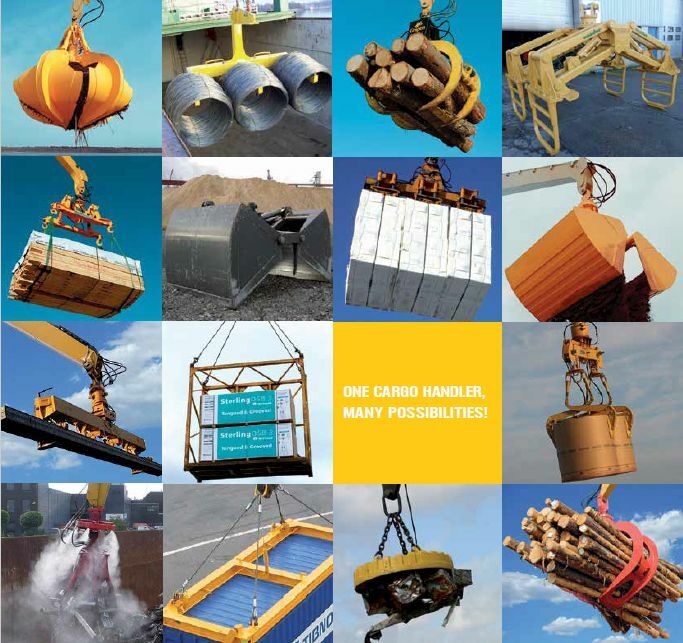 MultiDockers are built to achieve the highest level of efficiency possible for your operation. This means being able to dive in to your work, and get done early, or keep going and do more than you ever thought possible. We make that possible with innovative hydraulics features that set the standard in the industry. The hydraulic system includes three pumps with an independent swing circuit for fast cycle times during multi-function operation, plus a load-sensing system to ensure high hydraulic system efficiency and excellent productivity. Swing dampening valves reduce swing wag and produce smooth swing stops. Load sensing, with a Proportional Priority Pressure Compensation (PPPC) Hydraulics system, and Caterpillar-developed electronic actuation, provides high efficiency and excellent controllability. Cylinder speed is directly related to operator’s movement of joystick — from feathering to full speed. Flow to cylinders during multifunctional operation is directly controlled by the operator and is not dependent on loads. machine to work more quickly in cold weather conditions. Operating economies that will make your accountant smile. All MultiDockers feature Caterpillar engines with ACERT™ Technology, compliant with the United States EPA Tier 3 emissions regulations. These engines deliver the ultimate in performance and production. ACERT design optimizes every facet of the engine’s combustion process. Out of over 10 million possible combustion combinations in the engine design, Caterpillar engineers optimized 125 variables to provide you with the most efficiency and power available. The fuel system allows for multiple injections each combustion cycle. Small amounts of fuel are injected at precise times to achieve the combined goals of fuel economy and lower emissions. An advanced air system provides more cool air in the combustion chamber. A wastegate turbocharger provides excellent low-end response. In addition, crossflow cylinder heads provide a direct path of air to the engine. This results in reduced emissions, better engine performance, higher fuel efficiency and more engine durability. This gives you the lowest owning and operating costs, and the lowest cost per unit of material moved. It’s one of the market’s most versatile machines for fast and safe materials handling. 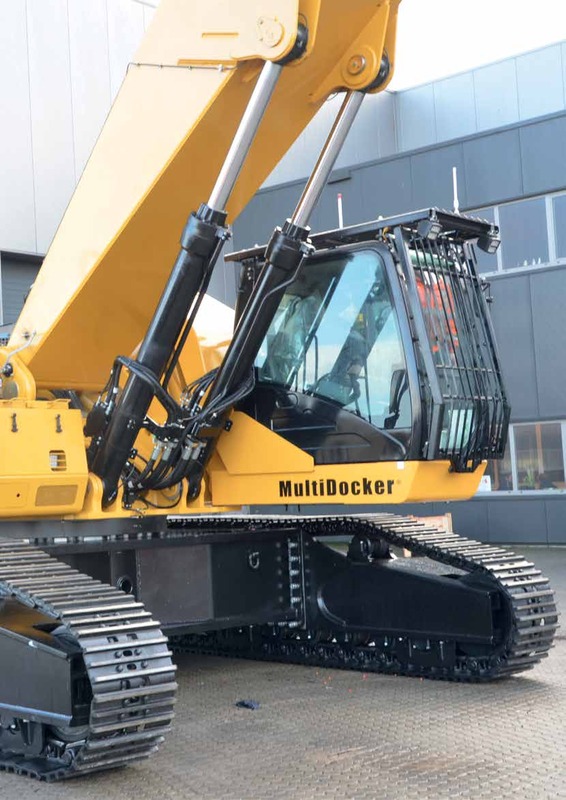 With enormous reach, a variety of undercarriages, and multiple boom & stick combinations, your MultiDocker can be built exactly the way you need it to and still handle a range of challenging material handling tasks with ease. It can be equipped with a variety of tools, customized for different commodities. An available quick-release coupling facilitates convenient and quick change of tools to handle the different types of goods. Uptime is money, so we deliver the reliability you need. We have 30 years of experience developing, designing, and manufacturing hydraulic material handlers, primarily in Europe, and now worldwide. 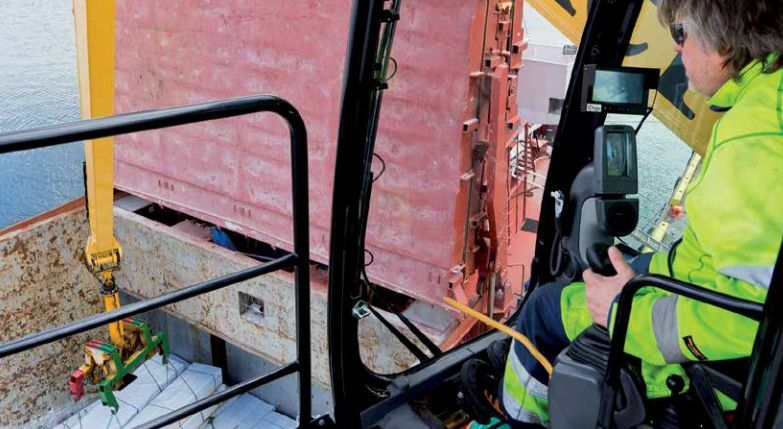 And, since our relationship with Caterpillar began in 1998, MultiDockers have been built of mostly standard, battle-tested, ultra-reliable Caterpillar components, enhanced with our own application-specific and innovative solutions. So when you buy a MultiDocker, you get one of the most reliable material handlers on the market. Through the Caterpillar Service network, you also get reliable service in over 200 countries, wherever you are, 24 x 7 x 365. You get fast access to well-trained service engineers and the right parts.In short, all the parts, services and knowledge you need to keep your machine working hard for you. Reliability – – it’s in the details. Service intervals are extended to reduce maintenance costs. Hydraulic system filters are located beside the hydraulic tank. No-spill removal. Service points centrally located with easy access. Pilot hydraulic system filter located in the pump compartment. Main air cleaner and precleaner have double-layered filters. No-tool changeouts. Fuel water separator works even when under pressure. Monitored from cab.